With Google and Amazon still unable to sort out their differences, YouTube remains unavailable on Echo Show and Spot, and may also become off limits on Fire TV from next month. 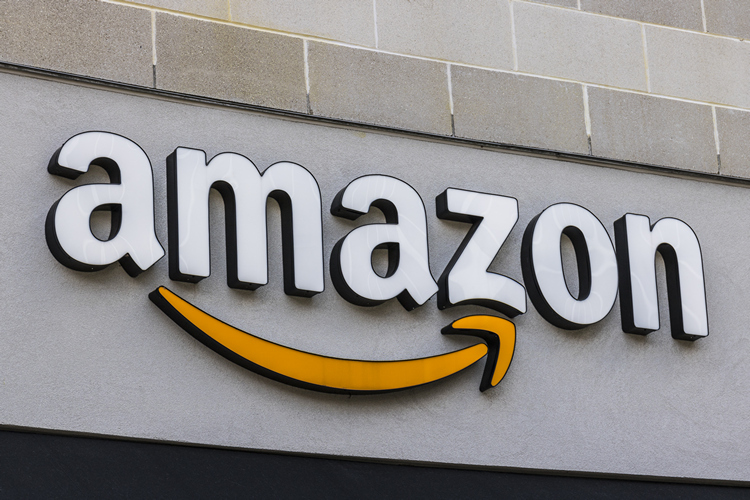 However, if a new patent application filed with the USPTO (United States Patent and Trademark Office) is anything to go by, the Seattle-based e-commerce giant may well be gearing up to launch a possible YouTube competitor by filing for a trademark on “AmazonTube”. The application, filed earlier this week, describes a streaming service that will provide “non-downloadable pre-recorded audio, visual and audiovisual works via wireless networks on a variety of topics of general interest”. It also talks about “providing movies and other audiovisual content … via a video-on-demand service”. 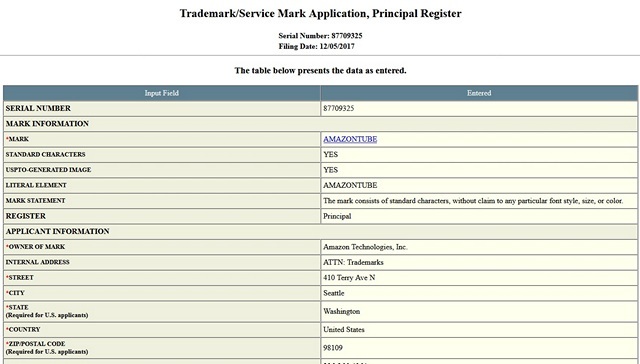 Some reports seem to suggest that Amazon has also filed for a trademark on ‘OpenTube’, although we couldn’t independently verify that. However, given how the company is already believed to have registered the domains AlexaOpenTube.com, AmazonAlexaTube.com and AmazonOpenTube.com, it won’t be a total bolt from the blue if that is indeed the case. While it’s difficult to ascertain whether Amazon is planning to introduce a true YouTube competitor in the not-so-distant-future, it won’t be a massive surprise if that’s indeed the case, given that relations between the two American tech giants are at an all time low with all the unseemly bickering over how to get their respective services and gadgets available on each others’ platforms. As mentioned earlier, YouTube is currently unavailable on Amazon’s Echo Show and Look, and Prime Video is unavailable on Google Cast. Amazon had also stopped selling Google’s smart gadgets on its site, including Chromecast, Google Home and Nest thermostats, although, those products have since been re-listed to the site. Google has also threatened to pull YouTube from Amazon’s Fire TV, although the two companies have since said that they are trying to sort out their differences amicably. With on-demand video streaming services becoming increasingly popular with every passing year, the fight between the likes of Netflix, YouTube, Amazon Prime, Hulu etc. is only getting bigger. It will be interesting to see if Amazon will add another service to the mix if only to stir things up a bit.